The following are the some of Products designed & developed by ACL. All our products have been made use of in the Defense & Aerospace Sector. These Products can be customized with specific requirements by profile, interface as well as software . ACL has been recognized as a MIL grade quality production unit through the order placement for Quantity production of the Missile Interface Unit, On-board computer systems designed, developed & qualified by ACL for the IGMDP Program. There are many other DRDO & Aerospace projects being done & in the anvil, which are enabling wider involvement’s of ACL in the National programs. This is a Phased array radar under development for wind profiling studies in the Stratosphere and Troposphere atmospheric layers.The radar operates in the 200 MHz band with a carrier frequency of 206.5 MHz.The radar provides vertical and horizontal profiles of wind velocity upto altitudes of 0.5 to 20 Kms, or higher depending upon the atmospheric conditions. System supports horizontal velocities of 1m/sec to 70 m/sec and vertical velocities of 1m/sec to 30m/sec. Three dimensional wind data is provided on a continuous basis which is used for studying the development of wind shears in almost real time. The system is built around a large array of 588 Yagi antennas arranged in a circular partten driven by an array of 588 Transmit- receive modules generating a pulse power of 400 watts peak/module. The pulse waveforms are generated by a coherent signal generator based on DDS modules. The signal processing is implemented using Pulse doppler radar signal processing algorithms. The system is provided with a eassy to use GUI and recording capability. Type : Base band signal generation of I & Q signals with digital Rx at IF Nyquist/sub-Nyquist sampling and programmable decimation. Data resolution : 14 bit. Sampling rate : 65 MS/sec (typical). No. of range gates : Programmable upto 512. No. of coherent integrations : Programmable upto 1024. Spectral estimation : FFT based (Real time). No. of points for spectral estimation : Programmable upto 512. No. of spectral Integrations : 1 to 10 (selectable). Moments, u, v, w : In near real time. Type of signal processor : Dedicated processor. System computer : PC based RT Linux/Vx works. Display : High resolution LCD (19" monitor). Data archival : DLT/ CD/ DVD. Hard copy : Color laser jet printer. 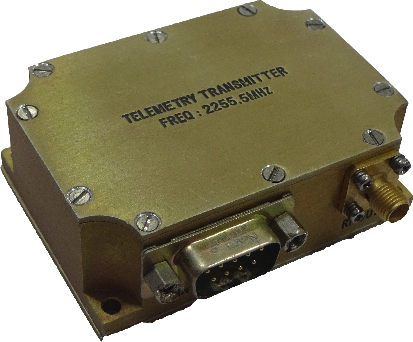 This Transmit-Receive Module (TRM) is developed for a wind profiler radar for operation in HF Band. It is operating at a centre frequency of 53MHz with a band width of 5MHz. It is designed for the Pulsed application (0.5us to 200us) and the maximum duty ratio is 10%. The TRM receives a -5dBm pulse as transmit input and generates 1KW pulsed output. The TRM has phase and amplitude programming with a 6 bit phase shifter and 4 bit digital attenuator in both Tx and Rx paths. It provides a gain of 28dB in the Rx path and Noise figure of < 4dB. Features an excellent isolation of 60dB from Tx to Rx. Input Over drive,High VSWR and thermal interlocks are provided for TRM safety. 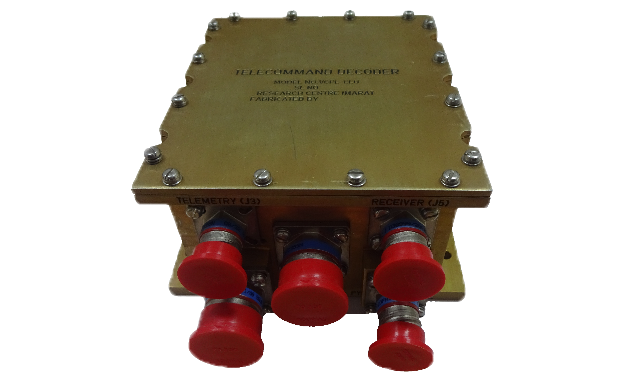 This is a Transmit- Receive Module developed for lower atmospheric wind profiler radars.The TR Module operates peak power of 1Kwatt and handle upto 10% duty cycle.It is suitable for feeding any phased array, antenna array in corporate feed networks. The TR module is packaged in a size of 500x245x222mm and weight is less than 12kg.The TR module is rated for operation up to +55°C with forced air cooling. 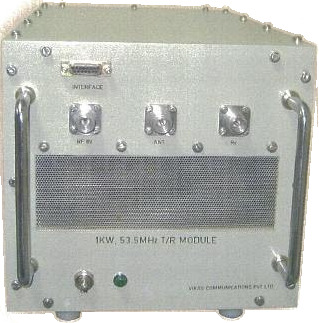 This Transmit-Receive Module (TRM) is developed for a VHF wind profiler radar, ST Radar, M/S ARIES, Nainital. It is operating at a centre frequency of 206.5MHz with a band width of 5MHz. It is designed for the Pulsed application (0.5us to 64us) and the maximum duty ratio is 15%. The TRM receives a -4dBm pulse as transmit input and generates 400W pulsed output. The TRM has phase and amplitude programming with a 6 bit phase shifter and 6 bit digital attenuator in both Tx and Rx paths. It provides a gain of 28dB in the Rx path and Noise figure of < 4dB. Features an excellent isolation of 70dB from Tx to Rx. 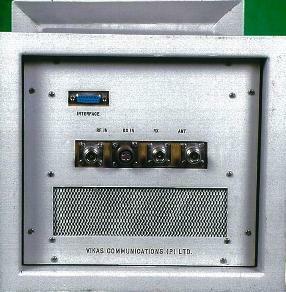 The module is equipped with a CAN Interface for external connectivity. It receives a differential trigger signal IPP to generate the internal timing signals. High VSWR and thermal interlocks are provided for TRM safety. The Auto calibration and phase calculation for beam formation are special features of the TRM. RF peak power O/P : 400W, Minimum at ambient Temp. 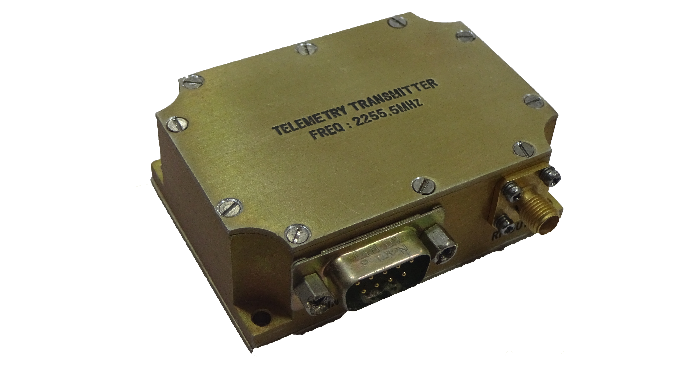 This Transmit-Receive Module (TRM) is developed for a wind profiler radar for operation in UHF band. It is operating at a centre frequency of 450MHz with a band width of 5MHz. It is designed for the Pulsed application (0.5us to 64us) and the maximum duty ratio is 15%. The TRM receives a 0 dBm pulse as transmit input and generates 1KW pulsed output. It is suitable for Phased Array Radar with corporate feed network. The TRM has amplitude programming with 6 bit digital attenuator in both Tx and Rx paths. It provides a gain of 28dB in the Rx path and Noise figure of < 4dB. Features an excellent isolation of 60dB from Tx to Rx. High VSWR and thermal interlocks are provided for TRM safety. RF peak power output : 1000W,±0.5dB. Input RF drive power : 0dBm,±1dB. The unit carries out the function of distributing RF signals receieved through three antenna inputs to any of the two outputs . The two antenna inputs cover the frequency range of 20 to 500 MHz and 500 to 2000 MHz. The RF signals received by the two antennas are processed , combined and distributed to two different receivers operating over 20 to 2000 MHz, for the purpose of monitoring and analysis. The unit is built around LNAs, low pass and band pass filters and combiners. The SDU has built in BITE source . In BITE-Tx mode amplitude modulated test signal at spot frequency is is is available for radiation by the selected antenna. In BITE-Rx mode ampitude modulated test signal at a spot frequency is fed through SDU chain to the designated receiving system. Frequency(Selectable) : 150 MHz in 20-500 MHz band. 766.5 MHz in 500-1000MHz band. Band Width : 5 KHz. Level at Output of BITE source: -25dBm(Tx). Mechanical Dimensions: Single width 6U module mountable in ATR. 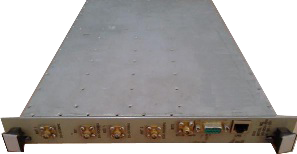 The antenna switching unit is designed to facilitate switching of any one the antennas from among a cluster of antennas into a common output. The switching circuit caters for a frequency range up to 2000 MHz. 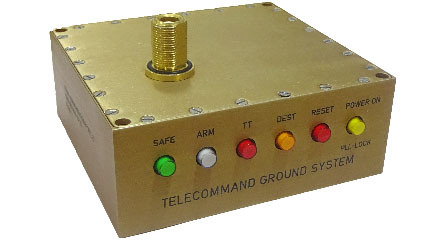 The firm has capability to design any switching matrix over a wide range of frequency bands. The switching unit features low insertion loss, load VSWR protection, isolation better than 60 dBc and is protected against hot switching. 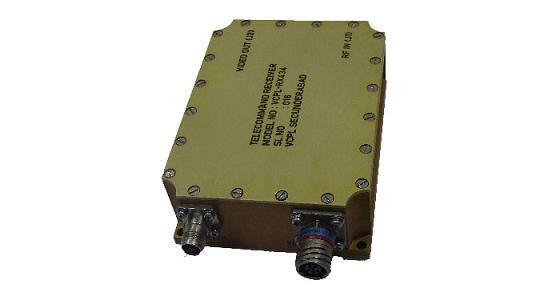 Programmable RF source is designed for operation in the band of 1.5 to 2000 MHz. The source is meant for testing of communication systems. The unit can be remotely programmed for bands, RF power and modulation types. 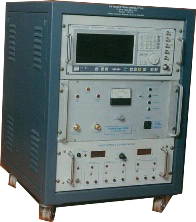 The unit is suitable for different applications like Communication EW receiver testing using complex signal generation, generation of Jamming signals etc, The unit features high efficiency, Class AB operation, thermal and VSWR protection.